Sorry for the delays on these posts. Life, as always, gets in the way. Act of Treason has been progressing nicely, and we are nearing the end game. 3rd party reviewers are almost all lined up. The biggest two things on my plate are Marketing/Promotion and the Kickstarter page. We really need to try hit 1,000+ followers before launch day (which will be revealed very soon). In order to help us hit the goal, I'll be looking to up my social media presence, release more videos, and increase my spending on advertising. Hopefully the holidays will allow me to make some great progress in this arena. I am also toying with ideas for an additional social media goal that will apply to the Kickstarter. eg: if we hit 2,000 followers before launch day, then I'll unlock a stretch goal for free, or something to that effect. So stay tuned for updates to that! It's looking very likely I'll do something on that front! I've also done some work on making a placeholder box for the prototypes, see below. Note that this isn't the final as with all of the game assets you've seen so far. It's just nice to have a box that I can hand to people to review, instead of a blank cardboard box. 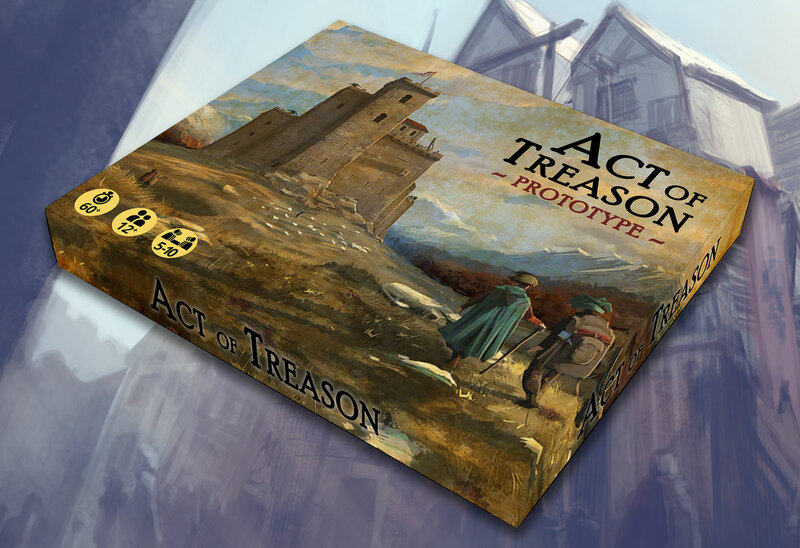 That does it for this week, I have scheduled a blog post for later in the week regarding a certain "Act of Treason Design Journal" that you may be interested in checking out, especially if you are interested in game design. Until next time my dudes.